Rule number one of bicycle touring: always listen to knowledgeable locals. My host last night, Bill Korn, gave me detailed directions on back roads from Santa Maria to Santa Barbara that proved to be challenging, beautiful, and worth following. 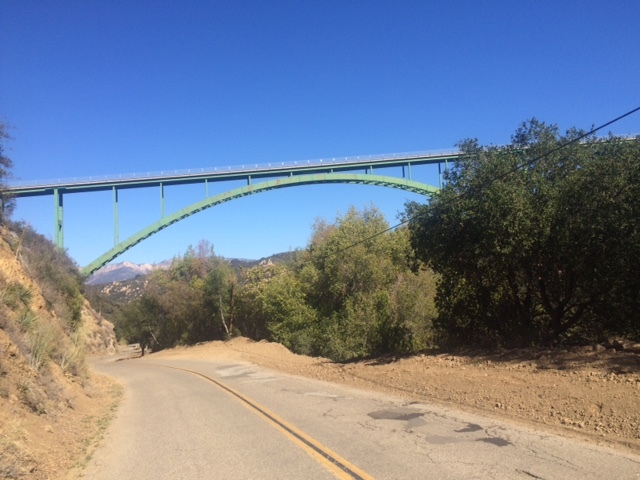 Faxon Canyon Road follows a valley rather than a traditional canyon. The valley floor has all sorts of agriculture, with sculptural hills rising on either side. 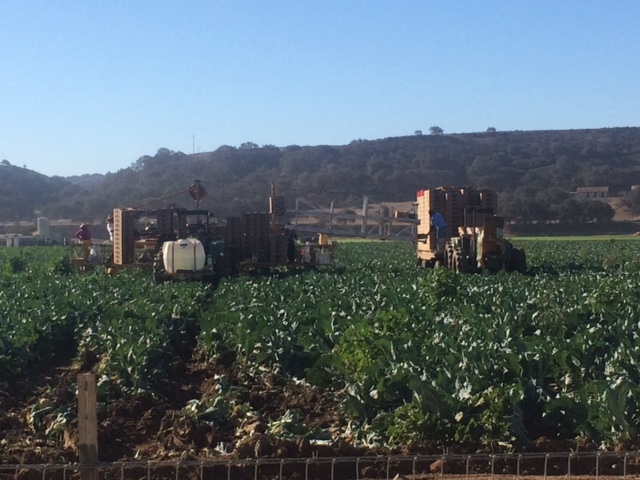 I was intrigued by yet another method of efficient harvesting; a twin tractor setup that that included picking and packing in one movable process. 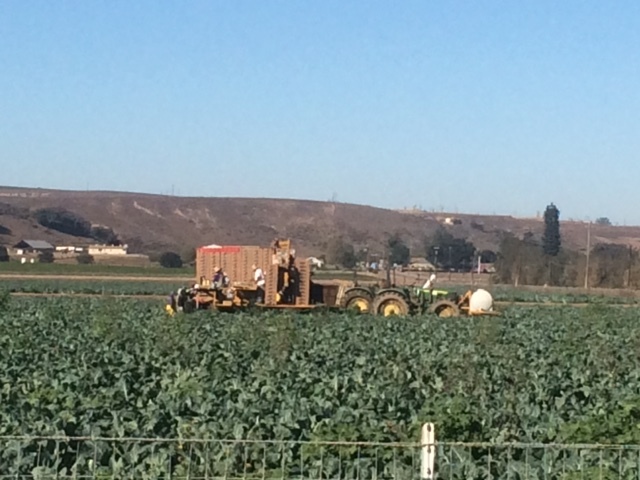 I could not figure out what the laborers were harvesting – maybe broccoli? As I climbed higher the fields gave over to vineyards. I had been warmed that Los Olivos, midway along my route, was a tony wine tasting town, but I wasn’t prepared for the disdain every set of eyes shot my way. The chicken panini at Corner House Coffee House was the most expensive and worst sandwich of my trip, served with a side of attitude. 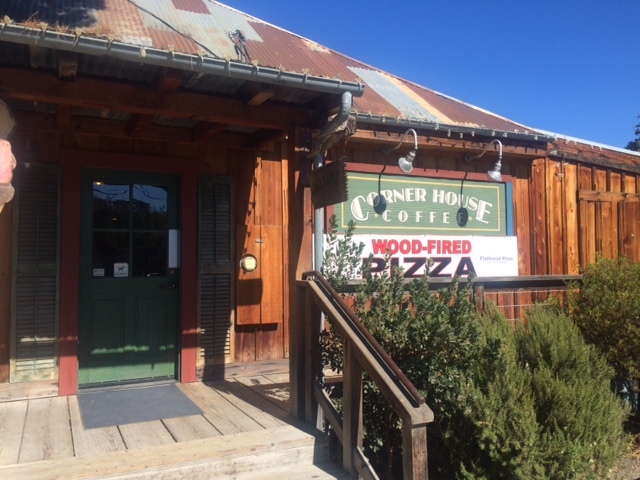 The Internet didn’t work (what coffee house doesn’t have superb Internet?) but the leggy staff couldn’t care less when I mentioned it. I longed for a tacqueria. Mexicanos in hairnets standing behind a steam table are so much nicer than gorgeous California girls who don’t give the time of day to a grey haired guy in a garish cycling shirt. 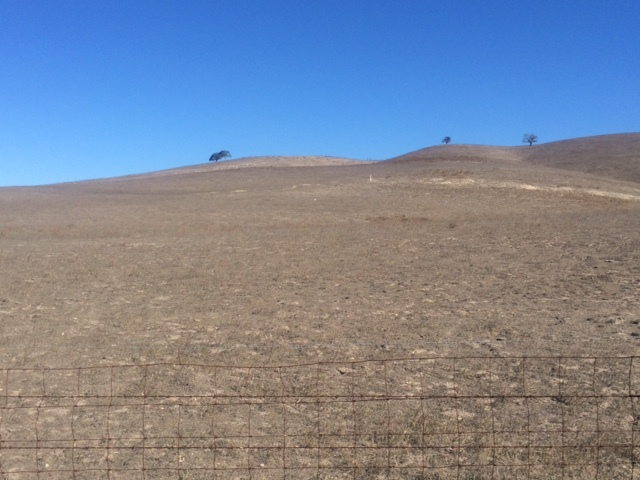 I was happy to shake the dust of Los Olivos from my feet, even if it meant cycling through the hottest part of a very hot, cloudless day. The grass along the road is beyond brown. It’s translucent stubble waiting to spark. 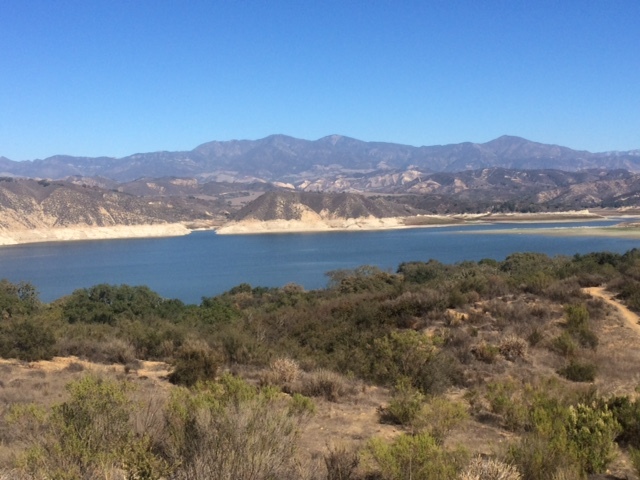 There’s a pittance of water in Lake Cachuma. 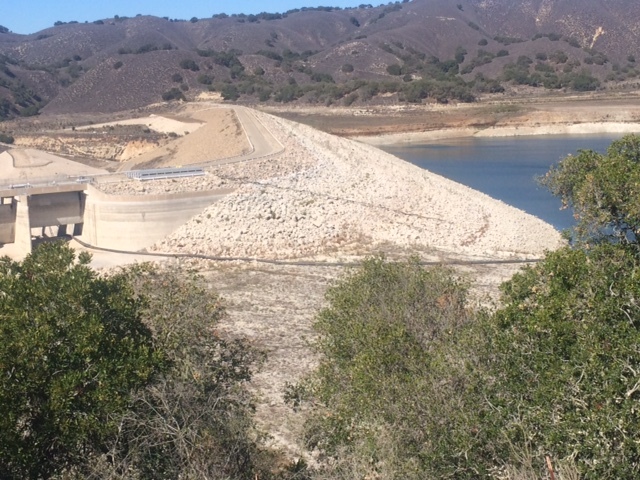 The surface of the reservoir is well below the lowest discharge gate. A big green hose siphons water through the dam, an inelegant solution to a problem the dam designers never considered. 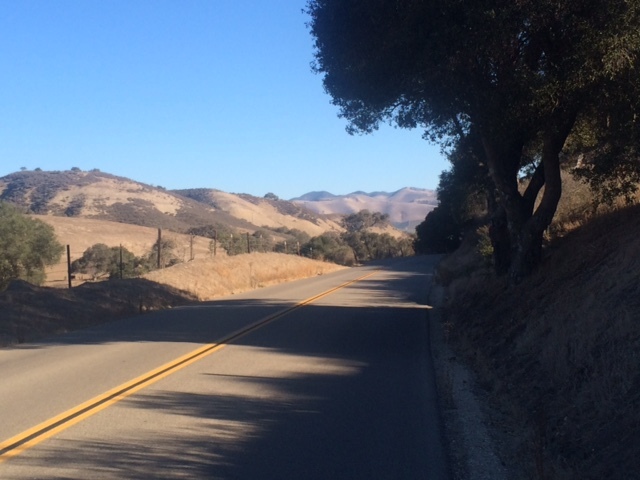 Before the big climb over San Marcos Pass, I ducked onto Stagecoach Road, a wonderful meandering path up and up and up. 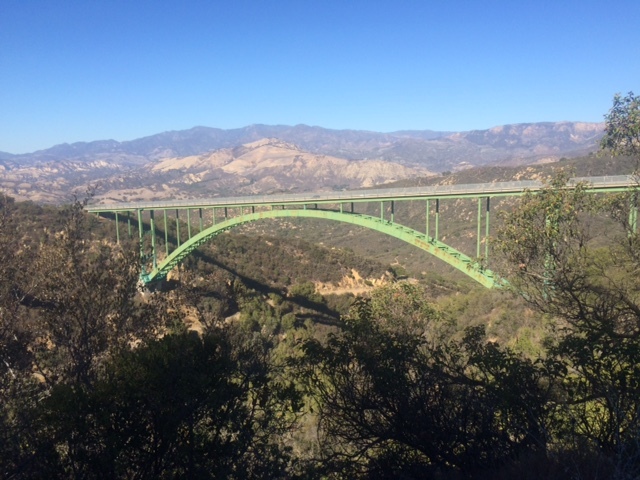 I passed under the giant bridge of Route 154, and eventually wound up higher. 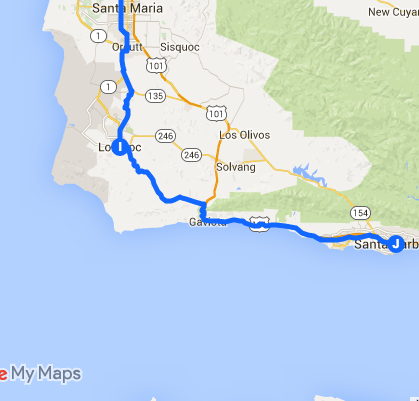 My legs were plenty tired when I finally reached the big descent into idyllic Santa Barbara.